This policy is valid from October 2018. Special Treat Friday is owned and operated in the state of California in the United States of America. This blog is a personal blog written and edited by Heather McKinsey and sometimes guest bloggers. The blog accepts forms of cash advertising, sponsorship, paid insertions, and other forms of compensation. This compensation will never influence the content, topics, or posts made in this blog. All advertising posts will be identified at the start of a blog post. The blog is a participant in the Amazon Services LLC Associates Program. This is an affiliate advertising program designed to allow this blog to earn advertising fess by advertising and linking to amazon.com, but there is no additional cost to you. This site contains links to other websites that may request information from you. Please refer to those sites privacy policies before providing them with any personal information. 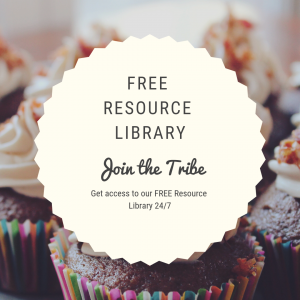 With your consent, we may collect your information to receive emails, register for a course, use a membership site, download a freebie, join a giveaway, or buy materials on this site. As a visitor to this site, you can engage in blog reading and many other activities without providing any personal information. If you opt in to receive emails, register for a course, use a membership site, download a freebie, join a giveaway, or buy materials on this site – you may be subscribed to our free newsletter. You can opt out of this newsletter at any time – simply use the unsubscribe link at the bottom of every e-mail we send. If you have trouble opting out, send an email and you will be manually removed. Typically we only request your first name and email to join our newsletter. However, we may also ask for more personal information – such as your last name, mailing address, telephone, credit card, and more. If you choose to not provide this information (which is your right! ), you will not be able to engage in that activity. We will only collect personal identification information from you if you voluntarily submit such information to us. We do not sell or give away your information to third parties. Our technology services use “cookies” during your visit. A cookie is a small amount of data that is transferred over the web. This cookie cannot deliver viruses, but it does serve as a identification card. We may get affiliate income, traffic data, or other information because you are using these cookies. If you want, set your browser to notify you when you receive a cookie – then you can choose whether or not to accept it. Special Treat Friday (“us”, “we”, or “our”) operates the www.specialtreatfriday.org websites and each site’s mobile application (the “Service”).